You’ve seen a little bit about what our goals are at DLRC in recent weeks. Well, we went a little further to interview a few of our employees in the Virginia Beach office. While you won’t see the faces of Mary Lee or Mary Hoffman, who control the shipping and accounting portions of the office, you will see those that you’re likely to see at an upcoming show. In the future, we hope to feature more of the DLRC team in upcoming videos, but we hope that you enjoy this offering. Why we love it: We have always loved key dates, and when they come like this, it screams “CWL” to us! A popular and scarce key date Lincoln Cent from the Denver Mint, in which this example is especially rare as it is in gem condition and features full red color. This key date gem displays fantastic luster and ideal eye appeal for the assigned grade. There are only six other examples of this issue in existence graded finer by PCGS that also possess the Red designation. Value: The PCGS Price Guide has this coin valued at $15,000, and the CPG Value is at $14,500. It is available for purchase at the low and reasonable price of $12,000 via Make Offer! In the last year, similar red examples have brought between $13,000 and $18,000. The only outliers have been pieces that simply aren’t eye-appealing “Red” coins. That is an entire $3,000 under the PCGS Price Guide, and a whole $2,500 below the CPG Value for this popular key date Lincoln Cent in gem condition with the red color designation, making this beautiful example especially scarce! Why we love it: This is a gorgeous gem example of the “with Star” variety of the Grant Commemoratives with blazing luster and pretty toning. Pristine, blast white obverse surfaces and beautiful rose-gold toning in the fields of the reverse highlight the overall appeal of the coin. From a low, original mintage of just 4,256 coins struck, there are only four other examples of this issue in existence graded finer by PCGS. Value: The PCGS Price Guide has this coin valued at $9,000, and the CPG Value is at $6,880. It is available in this week’s auction and has already met a very reasonable reserve value. We hope that this coin finds a fantastic numismatic home for the long term as coins like this certainly don’t come around often. Why we love it: This attractive yet affordable near-gem type coin from the Braided Hair Half Cent series displays pristine surfaces that are nearly completely without any blemishes. This pretty, chocolate brown Half Cent features nice eye appeal with its uninterrupted, sharply detailed devices and clear, original fields. Value: The PCGS Price Guide has this coin valued at $650, and the CPG stands at $594. Available for just $550 via Make Offer as part of our CWL specials. This is a great price for this attractive yet affordable near-gem Half Cent type coin that won’t break the bank! Why we love it: A lightly toned gem example of this popular Capped Bust Half Dollar type coin. The surfaces display stunning original luster and crisp, pristine details and fields that give it premium eye appeal. The originality of the coin combined with its beauty make it seem high-end for its assigned grade as shown by its CAC approval. 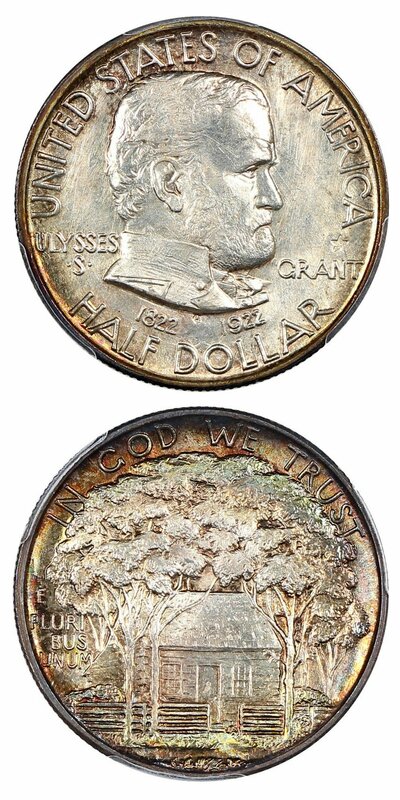 There are only two other examples of this issue in existence graded finer by PCGS. Value: This piece is reserved in our auction at $9,500. With the CPG value at $10,200, we think this is a fantastic value and this coin will go quickly in our auction ending this Sunday. 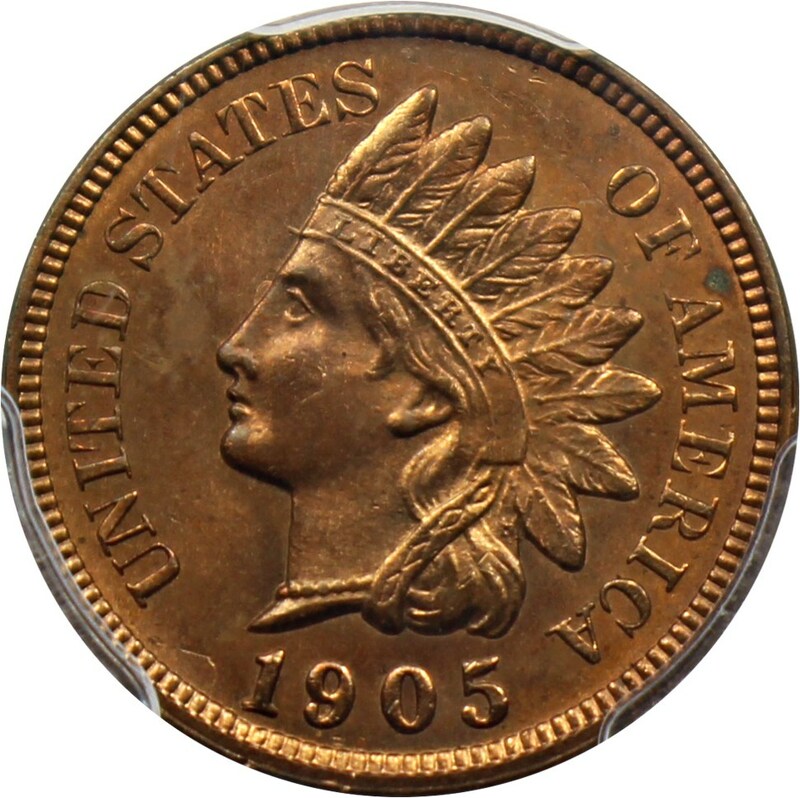 Why we love it: This blazing red ultra-gem type coin for the Indian Cent series is of true registry-quality as it displays pristine surfaces nearly without any sign of blemishes. Vibrant red-orange surfaces that are covered in stunning luster make for perfect eye appeal. There are only two other examples of this issue in existence graded finer by PCGS that also possess the Red color designation. 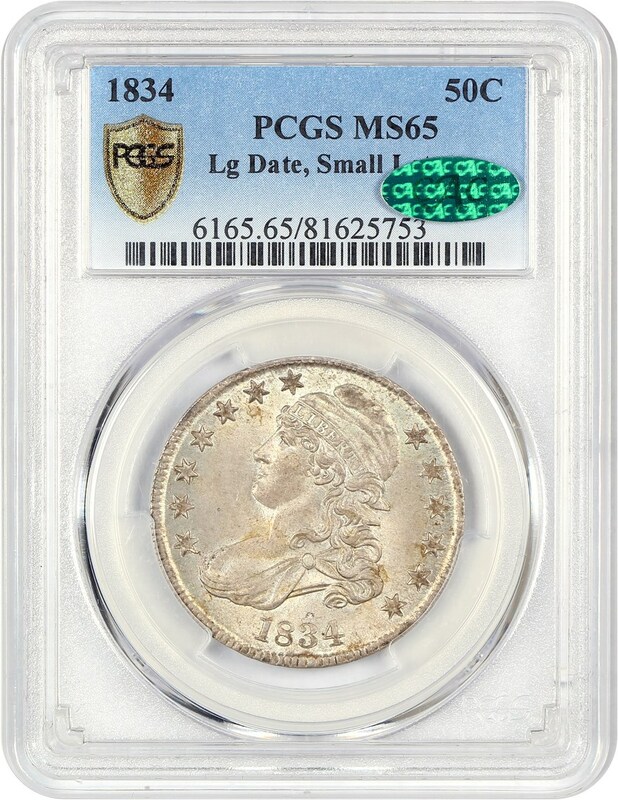 Value: The PCGS Price Guide has this coin valued at $6,750, but we are offering this coin for just $5,750 via Make Offer! 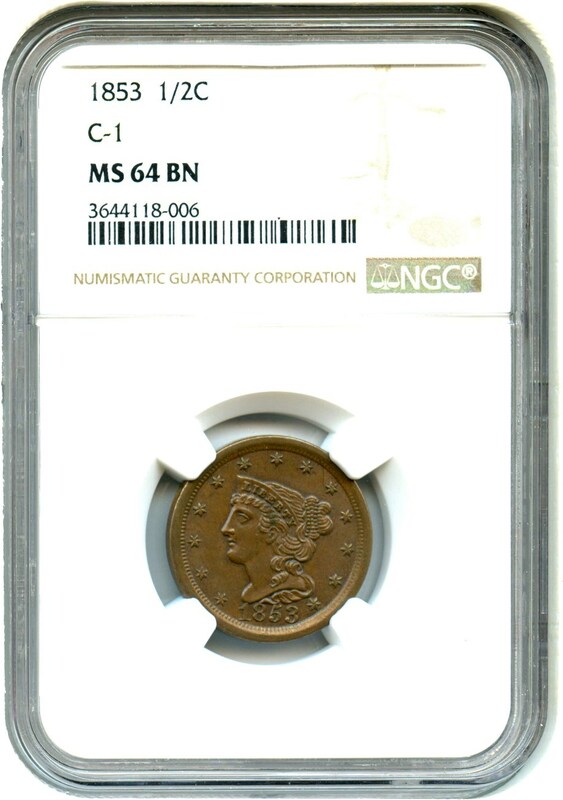 That is $1,000 below the PCGS Price Guide value for this lustrous, registry-quality, ultra-gem Indian Cent type coin. Why we love it: A gorgeous, lustrous ultra-gem example of this first year of issue proof Buffalo Nickel. This pristine, CAC approved coin displays immaculate surfaces with a blast white obverse and a mostly white reverse that features highlights of rose-gold. From a low, original mintage of just 1,514 coins struck, there are only seven other examples of this issue graded finer by PCGS. Value: The PCGS Price Guide has this coin valued at $7,000, and the CPG Value is at $6,250. It is available for outright purchase at $5,000 via Make Offer. With $2,000 under the PCGS Price Guide and $1,250 below the CPG Value, this scarce first year of issue ultra-gem proof Buffalo Nickel is a fantastic find! 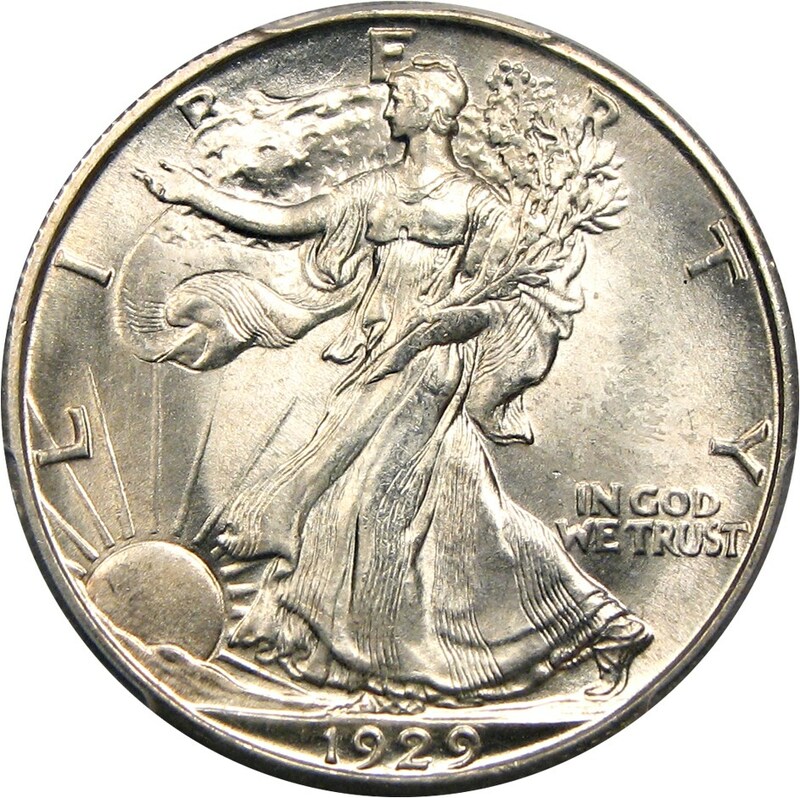 Why we love it: A quite scarce, early Denver Mint Issue Walking Liberty Half Dollar with pristine, blast white gem surfaces that are dripping with luster. This better date gem is high-end for the issue as it is surprisingly well-struck, and mostly all the obverse detail is crisp and clear. There are only two other examples of this issue in existence graded finer by PCGS. Value: The CPG reflects a value of $5,500 with PCGS Price Guide at $4,500. This lustrous, better date gem Walker with stunning eye appeal is available via Make Offer for a very reasonable $4,000. Why we love it: A scarce, low mintage San Francisco Mint Issue Indian Gold Eagle with incredible amounts of luster that makes for high-quality eye appeal. This example features gorgeous surfaces with limited blemishes making this coin seem high-end for the assigned grade. This issue has a low, original mintage of 59,850 coins struck, in which only few survived..
Value: The PCGS Price Guide has this coin valued at $8,500, and the CPG Value is at $9,380. 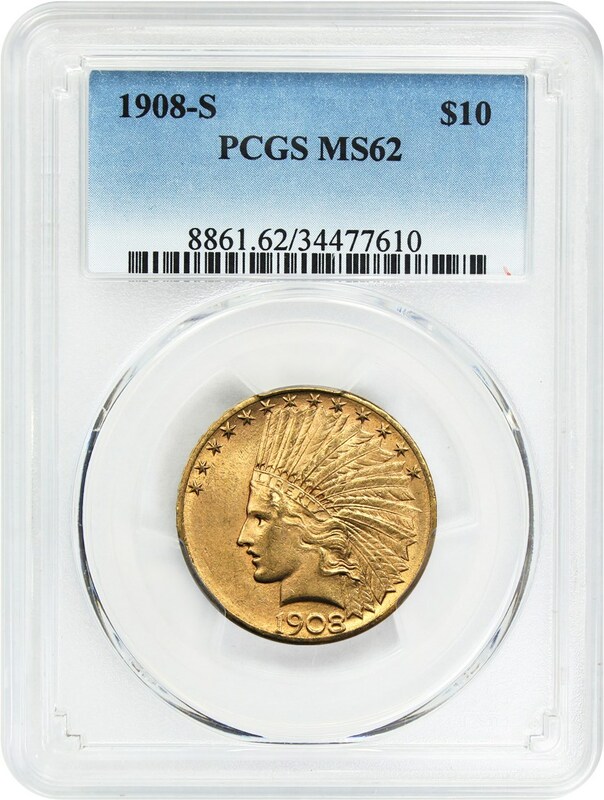 This gorgeous, low mintage issue is available for a reasonable price of $8,000 via Make Offer. 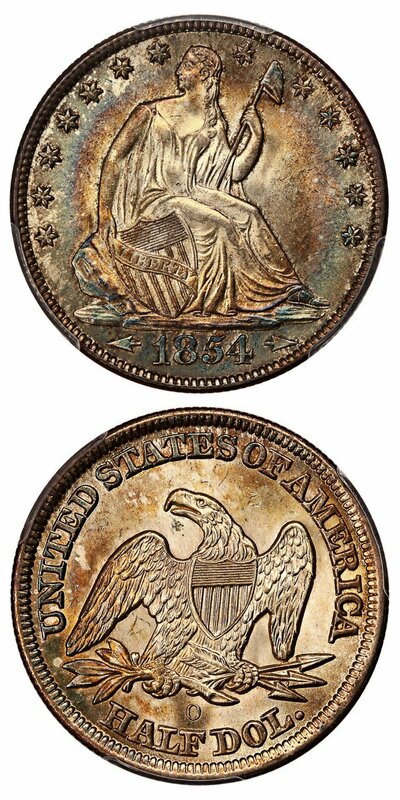 Why we love it: A popular and desirable New Orleans Mint Issue Liberty Seated Half Dollar with beautiful luster and stunning toning. This lovely gem displays a rainbow toned obverse with hues of blue-green and rose-gold complemented nicely by a lustrous, golden reverse. There are only two other examples of this issue in existence graded finer by PCGS. Value: The PCGS Price Guide has this piece at $18,500. This coin is reserved for just $14,500 in this week’s auction and is sure to capture the eye of serious bidders with its gorgeous toning. Why we love it: An affordable and intriguing lot of three nearly perfect gem Jefferson Nickel type coins. All the coins display ideal luster, blemish-free surfaces and well-struck devices that feature sharp clear detail giving them premium eye appeal. There are only five examples graded finer by PCGS without the Full Step designation. Value: The combined PCGS Price Guide value of this lot is $180. It is available for purchase for the reasonable price of $200 via Make Offer, which is just a tad bit higher than PCGS. 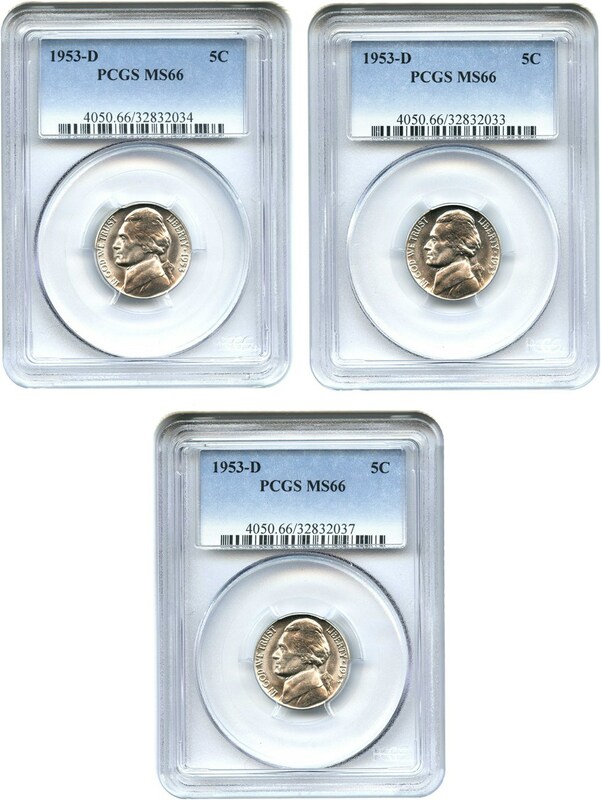 The price jumps to over $1,000 each in MS67, making MS66 examples the ideal collector grade! 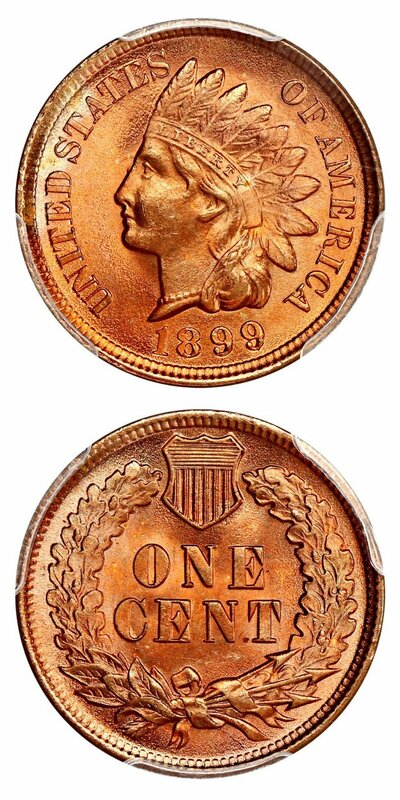 Why we love it: An affordable and beautiful gem type coin for the Indian Cent series with pretty, bright red coloring and pristine, nearly blemish-free surfaces. The lustrous fields, even red color and well-struck devices give this attractive, fully original gem nice eye appeal. Value: PCGS lists this date and grade for $650. We are offering this example for $600 via Make Offer, and we think it is a great opportunity to own such an attractive coin at a reasonable price! Numismatic Masters Auction #1 Live! Bid Today! Auction #1004 Lots Posted. Browse & Bid Now!